Colm Gannon was born, in Dorchester, Boston, Massachussettes of Connemara parents. His father John, from Droim and his mother Gerry from Tuirin. He learned to play his music from his father and his brother Sean. Colm won the all Ireland in 1994 on the button accordion and then moved to Ennis, Co. Clare with fiddler Jesse Smith where he got to live and play with all the great musicians there. After a couple of years there, Colm was asked to join “Riverdance the show” which he toured with for four years. Colm has toured the states with world-renowned Sligo based band “Dervish”. Colm also performed with Dolly Parton, in “Dollywood” with the show Ragus. Colm is now living back in his father’s home place, Droim, and is currently playing all over the country and the US promoting his new album with Jesse Smith and John Blake; “The Ewe with The Crooked Horn” after the great success of his solo album “Return to Droim”, which featured guest artists such as; John Carty on banjo, Jesse Smith on fiddle and John Blake on piano, guitar and bouzouki. Since then Colm has released a duet album, with his father John Gannon titled “Trasna Na dTonnta”, traditional music and songs from Connemara. On this recording Colm’s aunt, Maureen Creighan is featured singing two beautiful songs in gaelic. Sadly, Maureen is no longer with us but her singing is preserved for future generations on this recording. The duet is accompanied by John Blake from London, on guitar and piano. Colm has also appeared as a guest musician on many albums and worked with artists like: singer, John Beag O’Flaharta, Mick Conneely, Seomsamh O’Neactain and Harry Bradley as well as many others. Colm appeared in the critically acclaimed movie, “The Guard“, starring award winning actor Brendan Gleeson and recorded the soundtrack with Gay McKeon, CEO of Na Píobairí Uilleann, Johnny McDonagh of DeDannan and Mary Corcoran. Colm has also featured in the critically acclaimed film by Ken Loach "Jimmy's Hall" and his music appears all throughout the sound track. Colm has just finished a masters degree in Traditional Music Performance at the University of Limerick and has just released a new album titled “The Rights of Man” along side DeDannan Greats Alec Finn on Bouzouki and Johnny "Ringo" McDonagh on Bodhran. He is also joined by his wife Kelly Gannon on concertina and John Blake on guitar and piano. 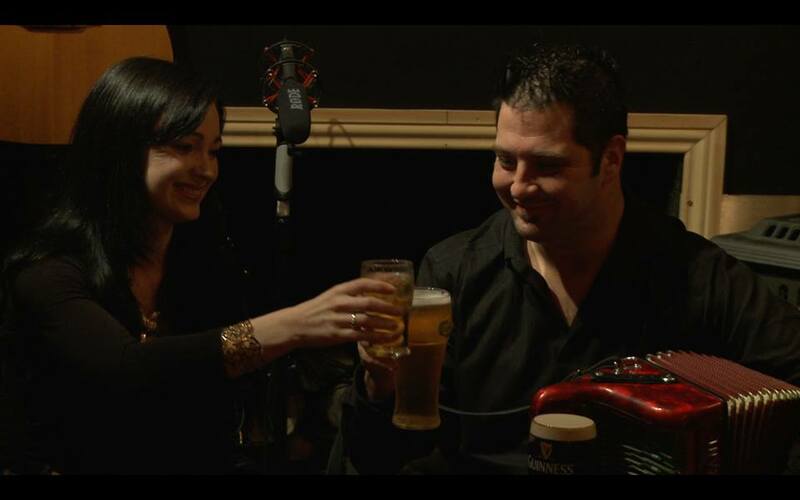 Colm and Kelly have just opened up a music school and music shop in Spiddal, co Galway. They currently have year long classes there offered on all instruments and run an annual summer school "Seachtain Ceoil Chois Fharraige", A week of music by the sea, which takes place the first week of August. You can see them in Spiddal, feel free to pop out anytime.